Future music educators: You're invited! 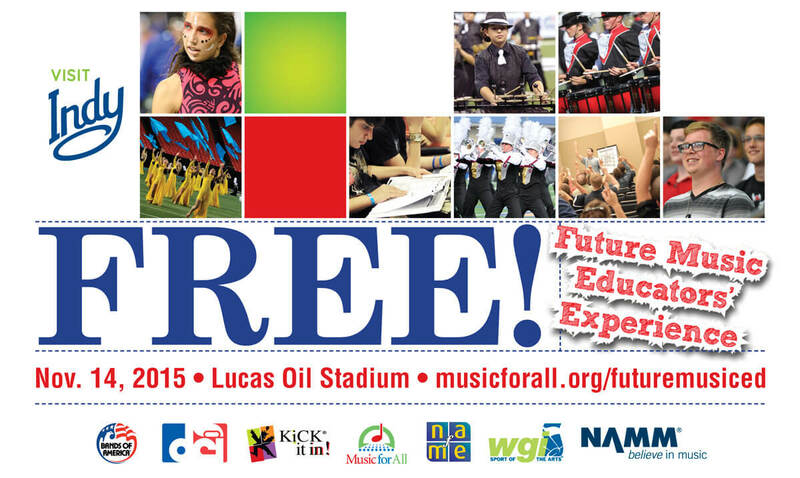 The Bands of America Grand National Championship is coming up soon, and if you’re a music ed major, you’re invited to attend the event at Lucas Oil Stadium in Indianapolis for free. College students studying music education at the undergraduate or graduate level will have the special opportunity to spend the day at the BOA Grand National Semifinals on Saturday, November 14, getting a behind-the-scenes look at the event while learning from leaders in the fields of marching music and music education. Led by author and motivational speaker Fran Kick, this experience is specifically designed for future music educators to see, hear and feel what’s possible in today’s marching music activity. Since debuting in 2009, students from more than 125 colleges and universities across the country have attended. A highlight of this year’s event is anticipated to be a “Meet-the-Masters” session, which will give attendees the opportunity to participate in a roundtable discussion and network with leaders in the music field the likes of Dan Acheson (DCI Executive Director and CEO), Michael Cesario (DCI Artistic Director), Eric Martin (Music For All President and CEO) and Michael Butera (NAfME Executive Director). Space is limited and offered on a first-come, first-served basis. Students wishing to attend should RSVP online by November 6. Learn more and register today via KickItIn.com.